Before we start designing - a clear and concise context for the scheme needs to be established on areas relating to the proposal. We carry out a measured survey identifying existing built forms (including floor plans, elevations, sections), neighbouring properties, landscape and topography. There are two common types; a measured building survey (ideal for home extensions) and an topographic survey (ideal for building a new home or housing development). A measured building survey will help identify the existing built form of the property and gather data to develop existing floor plans, elevations, sections. A topographical survey measures the site, neighbouring properties, landscape and topography. Why is a measured building survey important? 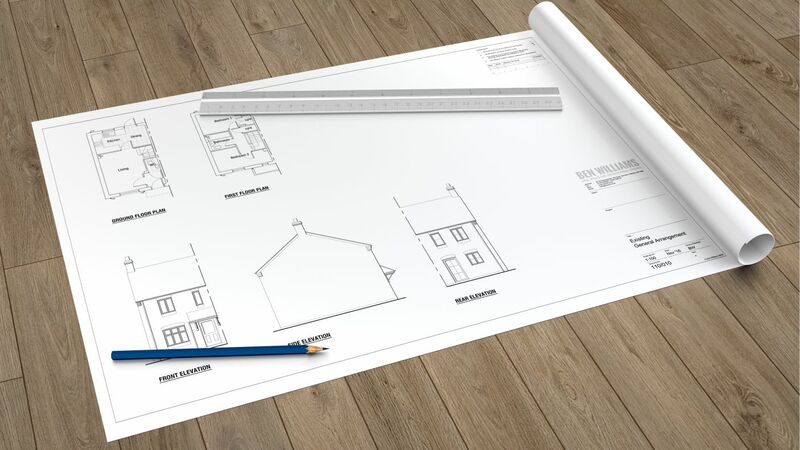 A measured building survey will be required to enable 'as existing' drawings to be prepared which will be required for later submission to the council but in the first instance, it will enable us to develop sketch proposals to your requirements. 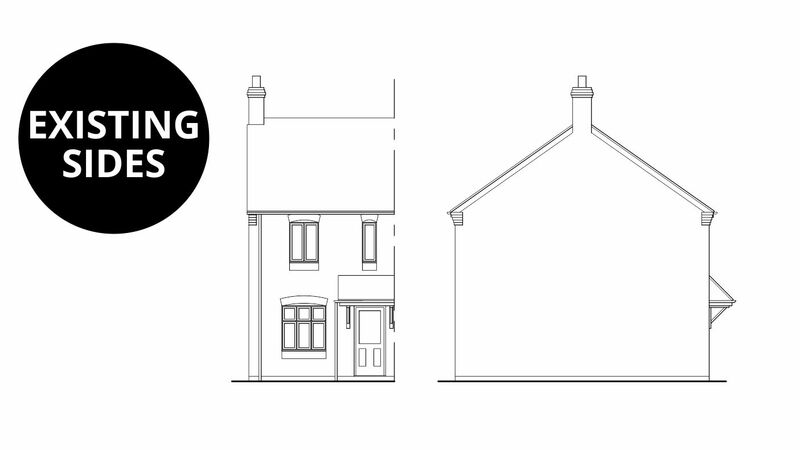 Below are a few examples of the types of drawings to expect from a measured building survey. Existing floor plan drawings as part of a measured building survey which is required as part of a planning application to the council. Colour is used for demostration purposes and is not required as part of a planning application to the council. Existing elevation drawings as part of a measured building survey which is required as part of a planning application to the council. 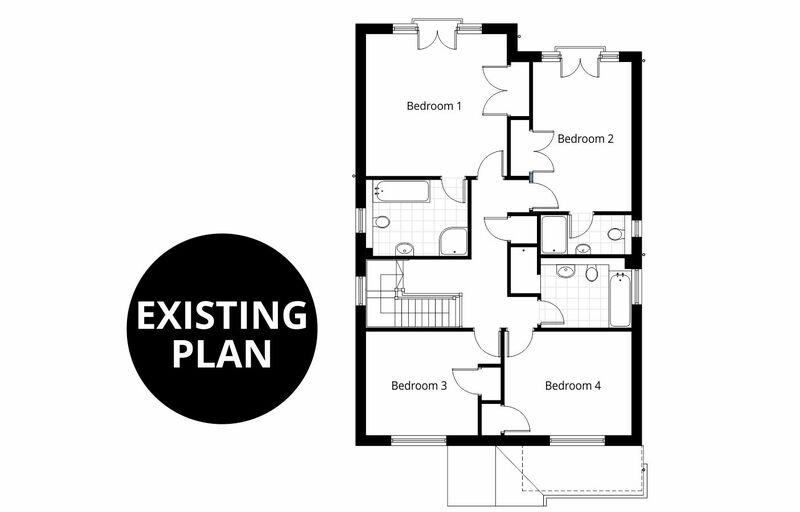 Existing ground floor plan drawings as part of a measured building survey which is required as part of a planning application to the council. Colour is used for demostration purposes and is not required as part of a planning application to the council. 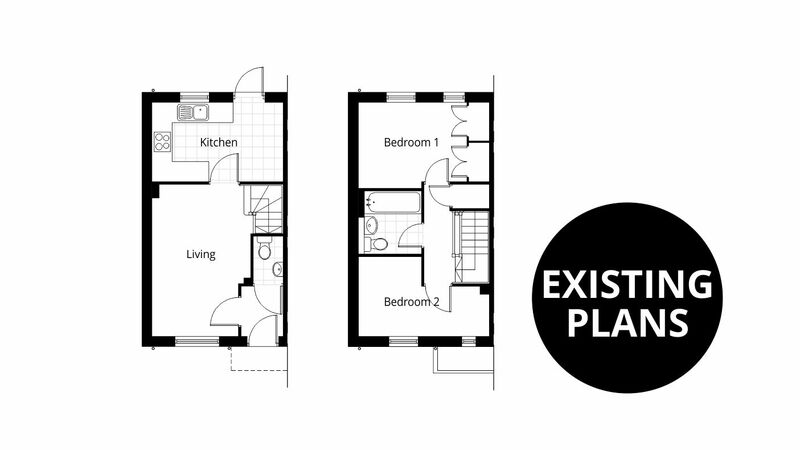 Existing first floor plan drawings as part of a measured building survey which is required as part of a planning application to the council. Colour is used for demostration purposes and is not required as part of a planning application to the council. 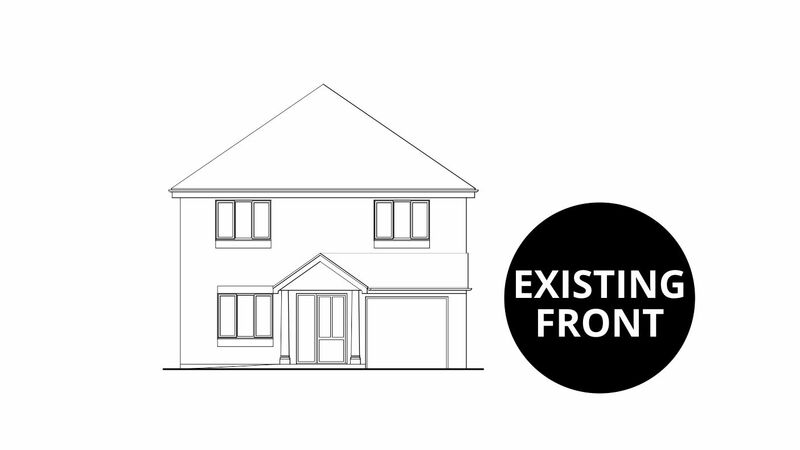 Existing front elevation drawing as part of a measured building survey which is required as part of a planning application to the council. What drawings are produced from a measured building survey? 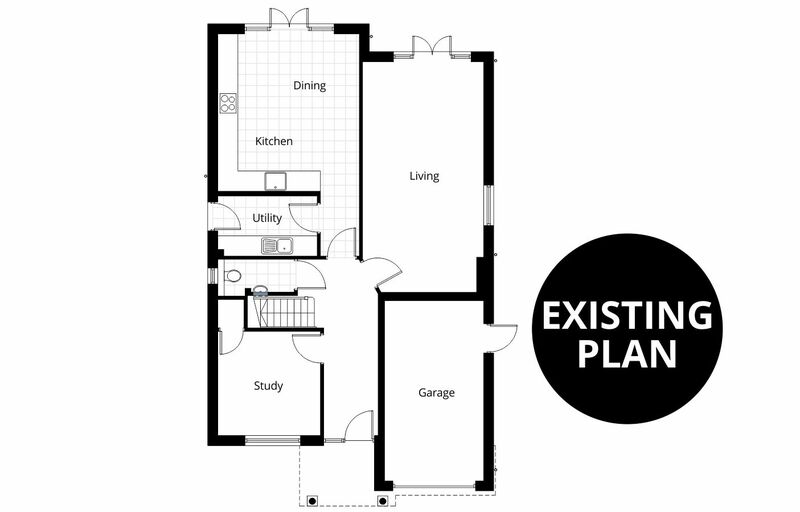 The key drawings produced from a measured building survey are existing floor plans, elevations and site plan (or block plan) illustrating the existing form of the property and its current surroundings. If the property is located on a sloping or uneven site, there may be a requirement for section drawings to be produced illustrating key spot heights. How long does a measured building take? A measured building survey can normally take between 1-2 hours but this can vary depending on the size of the property and extent of proposed works involved. After the measured building survey, we offer an opportunity to have a meeting to discuss your thoughts and ideas again, in case anything has changed since the initial consultation. What happens after a measured building survey? We gather all the measurements and photographs from our measured building survey and input the data into computer software to produce drawings. These drawings will be accurately scaled to form as part of a application to the council and also enable feasibility sketch proposals to be developed.